My name is Brooks Cobb. I started building custom guitars in college in 1996. My curiosity of music and wood has carried me down this path, and has pushed me to create art that I hope is inspiring on many levels. Not just to players, but to those who appreciate fine curves and rare woods, and those who welcome bold yet old world craftsmanship. This is what drives me to create. A passion for an intimate connection between a unique, individual personality and an equally unique but well paired instrument . As a player I seek that connection, as a builder I want to share that connection with you. I currently reside in Bluffton SC, where I solely run all of BCG production from my shop. I have a long history with this area. I have worked as a carpenter; have spent many years in a woodshop building cabinets and furniture. I’ve also spent two years working as a repair tech at the biggest music store in Alaska. My time spent at the music store was crucial to refine my skills but also in affirming that my guitars had something to offer that factory built guitars simply could never have. a selection and care process that is not possible on a mass production scale guitar model. Our mission is to provide you with a top-of-the-line instrument that is specific to your exact tastes. As an artist, you need full power of expression. With Brooks Cobb, you can enjoy the experience of choosing the woods and options to create your own musical tool – your own custom guitar! This ensures that the tones are perfect, the touch & feel is flawless, and the melodies are immaculate. Feel free to look around the website, particularly the Models page, where you’ll find options for each aspect of the build. Currently, we are showcasing five guitar models, and two bass models. However, these contain a number of different customization options, which we encourage you to explore and consider. From construction type to which wood you’d like to use; from the inlays to the finish, these are just a few of the variables available to you. Browse our FAQ section for more information, or, feel free to Contact Us directly with any questions or comments you may have. 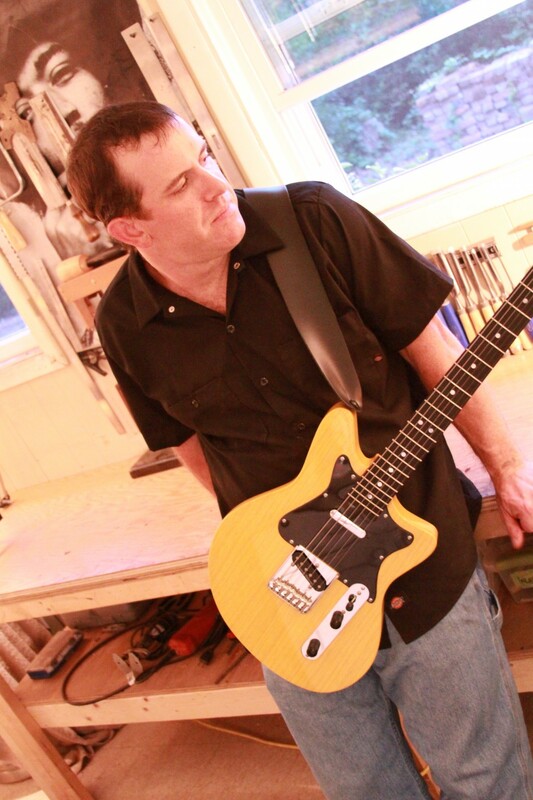 I’m eager to hear from you, and I will personally respond to help you through the exciting process of having a guitar built specifically for you. The experience begins right here. Welcome to my world of guitars.